Injuries or conditions of the bones, joints and muscles can drastically impact your quality of life and ability to perform daily activities. Aspirus can help you regain your active life by offering the latest therapies, treatments and procedures for all types of orthopedic issues. The orthopedic providers in the Aspirus Network are here to help you with your orthopedic issues, from diagnosis to treatment to the end of your therapy or follow up care. Hip and knee pain shouldn’t keep you from doing the things you love. Aspirus provides the joint relief and compassionate support you need to keep life in motion. 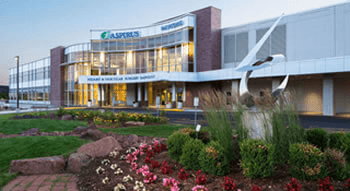 Aspirus has teamed with UW Health and the American Family Children’s Hospital to bring pediatric orthopedic care to our patients at Aspirus Wausau Hospital. Neuromuscular disorders including cerebral palsy. Physician referral is required for these services. Thinking of joint replacement surgery? See if your ready.